All guest (substitute teachers), substitute secretaries, substitute paraprofessionals, substitute custodians, substitute food service, substitute hall monitors, bus aides, and noon supervision employees are employees of EDUStaff. 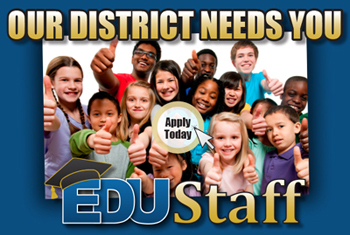 Please visit EDUStaff's website at https://www.edustaff.org for substitute requirements and enrollment procedures. Sub Office phone number 248.489.3560.